Oh this weekend. I’m not entirely sure where it went, and yet I’m sad it’s gone. Friday night I was looking forward to a dance party at the 930 Club: Lady Gaga v. Madonna v. Boy Bands. Clearly I was there for the boy bands and when it started with Everybody (Backstreet’s Back) I was just as excited as any self-respecting fan-girl would be. The ever-important question: Which one is your favorite??? Unfortunately the venue got really crowed really quickly, so I can’t give the evening a full two thumbs up. 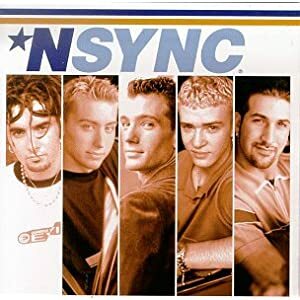 Also, apparently the DJ’s definition of boy bands is more broad than mine -- really I just wanted her to play N’Sync and Backstreet Boys’ first couple CDs (or tapes, as it were...oh 1996), and maybe some 98 Degrees thrown in there for good measure. (So my ideal Friday night is a 6th grade dance? Maybe.) Any so-called “boy bands” before or after that are beyond my scope of silly music knowledge. 98 Degrees is reuniting and going on tour! Just to brighten your Monday, go ahead and listen to all these songs and try not to dance at your desk. Saturday I baked a cake (recipe to come), to bring to a Pitch Perfect viewing party. The movie is like a cross between Bring it On, Mean Girls, and Bridesmaids, i.e. hilarious. Rebel Wilson is SO funny. My Sunday was pretty lazy. I went for a long run in the pool (2 HOURS, aka omg kill us all now), and then lounged on the couch watching Nashville and some football (Redskins fans, I'm sorry for your loss) until dinnertime. Dinner was a “Global Dinner.” As you probably know/assume, I’m an adventurous eater and have tried almost every cuisine DC has to offer. Therefore I’m always shocked (shocked!) when I learn that not everyone does this. Way back in August, my coworker/climbing friend invited me to Ethiopian food with a group of her friends, because they’d never had it before, which is a travesty that needed fixing asap. At that first dinner it soon became clear that most of them wanted to expand their culinary horizons, but were not entirely confident in doing so; therefore we decided to meet for regular food adventures. So anywho, this is a long way to explain that I went to Himalayan last night and it was delicious, obviously. Indian is in my top-3 cuisines (Mexican, Indian, Mediterranean), and Himalayan food is pretty much Indian with some Nepalese mixed in. The food wasn’t as spicy as I expected(/hoped) but it was very good. And the naan – OOH THE NAAN. I love naan. We ordered pretty safely/conservatively -- I split palak paneer (spinach and cheese – my go-to), chicken curry, and Chicken Biryani (Indian fried rice). The nice thing about Himalayan Heritage is that naan comes with the entrees. Yummmm. We didn't order momos (dumplings), but awww momos remind me of my trip to Manali, India! And that is that. Hope you had a good weekend too, and happy Monday!